Welcome to the Oklahoma City Sheepdog Seminar registration page via "A Warrior's Heart." 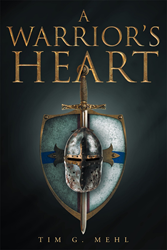 A Warrior's Heart is the creation of published author, Tim Mehl, a retired police detective of the El Paso, Texas Police Department who served on the SWAT team and worked undercover for ten years. When you register via this page, we will be able to purchase a copy of Tim's book and get it into the hands of Police Officers! More about the book. Texas Police Officer Gregory Stevens (right photo) will be with us at the Colorado Springs Sheepdog Seminar. In May of 2015, Officer Stevens took on two terrorists that had driven from Arizona to Texas - with intentions of committing mass murder at a convention center. Officer Stevens shot both of them, saving countless lives. For his heroics, he was awarded the Medal of Valor by President Obama for "preventing a deadly act of terrorism." Watch the video of Officer Stevens receiving the Medal of Valor. FRIDAY NIGHT, MARCH 23 - We will show the award-winning movie Faith Under Fire at the church. Movie starts at 7:00 p.m. and is FREE of charge (and open to the public) Click here to watch the trailer. SATURDAY, MARCH 24 - The Sheepdog Seminar starts at 8:00 a.m.
SHARE THIS VIDEO FREELY. It advertises the OKC Sheepdog Seminar.